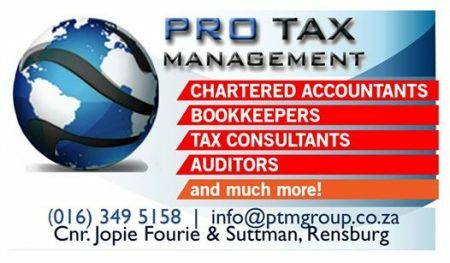 Do you need help with Business Tax, Personal Income Tax, VAT, Payroll, Month End or the day to day accounting issues? Contact us today. With over eight year of experience in the field of accounting & business analysis, I am well suited to meet the unique need of the individual or medium to large business. I also specialise in internal auditing, year-end auditing & financial year ends to help you ensure your company has a sound financial basis. 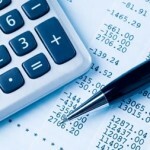 Why outsource your accounting and payroll ? The employee designated, now becomes obsolete and MicLea now becomes the dedicated entity in taking over this role. Saving the company the cost of employing a person to perform these tasks. 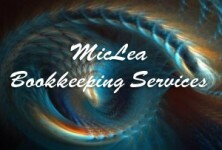 Because MicLea is dedicated to handling these services, one is assured of a quality service time after time. Timing is of the utmost importance and MicLea is geared to render a quality, timeous service that would stand its clients in good stead. Monthly reporting is also of paramount importance and MicLea offers this service in a detailed and timely manner. Our highly qualified team is dedicated and efficient and understands that time is money and offers an effective service that can be monitored month to month. Create customer account information, processing of all invoices and the allocation of receipts. Create supplier information, processing of all invoices and the allocation of payments. The creating of accounts, processing of cash book receipts the processing of cash book payments and the reconciliation of the cashbook (bank). All aspects are catered for such as Depreciation, Salaries, Leave Pay, Provisions and Accruals and Monthly Journals, Audit and Insurance, etc. Our monthly reports will contain comparisons between budget and actual, comparisons between the different months in a year and a payroll analysis report per employee. VAT and EMP submissions done on e-filing. The creation of employee master file per employee and the processing of payslip. No time to do accounts, struggling with Payroll amongst other things? TAX or VAT deadline looming? Documentation Collections and Drop-off can be arranged as required in and around Johannesburg and Heidelberg and surrounding areas. Accounting Services; Bookkeeping; Business Management; Tax Consultants; Payroll; Financial Statements; VAT PAYE SDL and UIF Submissions; Secretarial Services; Income Tax for Individuals, Companies and Closed Corporations; Shelf Companies and Close Corporation Registration. Taxcor Pty Ltd was established in 1998 and, through the years, have grown into a sustainable business with a client base consisting of schools, churches, wholesalers, retailers, hotels, the entertainment industry, the import and export industry, doctors and more. We specialise in giving the right advice and helping our clients with the correct structure for their personal and business financial affairs.